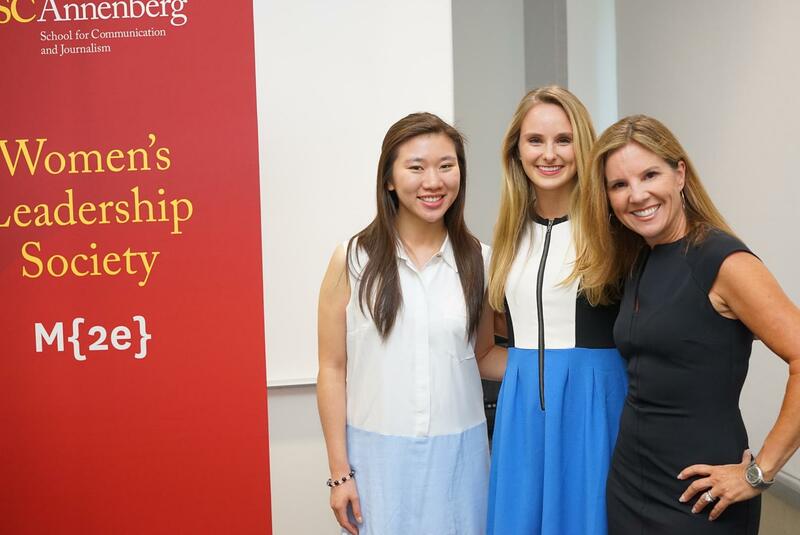 Last week I was privileged to speak at the launch of the USC’s Women in Leadership Society at the Annenberg School for Communication, my alma mater. 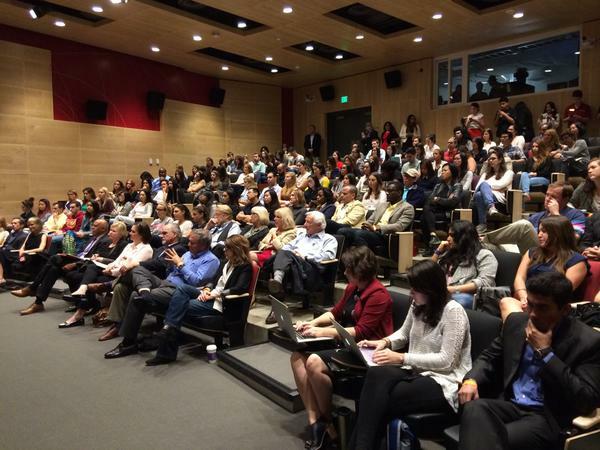 An amazing organization founded by Professor Christopher Smith to provide support, build self-confidence, build community and connect young female undergraduates who are at the intersection of tech, media and entertainment. So what could I possibly say to these young women? First, I remembered what a challenging time USC was for me, my parents had gone bankrupt and I was putting myself through school. I had boyfriend problems, was trying to figure out my path and the basic challenges of having fun, growing up and juggling it all that all young co-eds face. I wanted these young women to know that we all go through this. More importantly, I wanted them to have a bigger goal and keep their eye on the prize. So often, the vision is short-sighted and they can only focus on the internship, the A, the diploma or the job. I want them to focus on living a life full of purpose, where you are using your gifts to the greatest ability. Because Leadership is at its essence….one life simply inspiring another and after all, isn’t that is the purpose? Have you ever had a full circle moment? A moment when you can’t believe that your life started at one point and somehow came all the way back around? Last week, I had that moment. I was invited back to speak at my alma mater, USC’s Annenberg School of Communication, as a guest lecturer. As I stood in front of the class full of freshman Communication majors, I really couldn’t believe that I was no longer the student. How was I standing here? When what seemed like moments before, I had been working full-time to put myself thru USC. Trying to hold down a job, my full class schedule, a social life and find direction in my life. Now, here I was sharing my journey of life, loss, growth and philanthropy with the class. It was surreal. I spoke about failing, struggling, not knowing what to do, which way to go and trying on so many things until I found the right fit. My message was the biggest roadblocks, were my greatest gifts. The students asked me about so many great things, but one question that I loved was, “How did you find your voice?” They were referring to Charity Matters and I almost laughed at loud when the professor rephrased the question as, “your journalistic voice”. It took everything I had not to look over my shoulder to see if a journalist had entered the room. After a pause, the answer to the question was, listening to myself. Giving myself time to reflect on what was true, honest, what fit and felt right. As I sat in that class room and looked at those fresh faces, I realized that it was that gift of listening and knowing what felt right that brought me to this moment. Full circle.